AMC stock (NYSE:AMC) is sinking late in the day Thursday as the company reported its latest quarterly earnings results, which were weaker than what analysts were calling for on the earnings front, while its revenue was in line with the Wall Street consensus estimate. The Leawood, Kansas-based movie theater operator said that for its third quarter of its fiscal 2018, it amassed a loss of about $100.4 million, which came in at around 82 cents per share and marked an increase of 74% year-over-year. On an adjusted basis when considering one-time gains, the company’s losses reached 74 cents per share for the period. Analysts were calling for AMC to perform better as the average estimate of six analysts who were polled by Zacks Investment Research were forecasting the company to reduce its quarterly adjusted loss to 49 cents per share. The movie theater chain added that its revenue for the period tallied up to $1.22 billion, which was in line with the Wall Street consensus estimate, according to data compiled by Zacks. 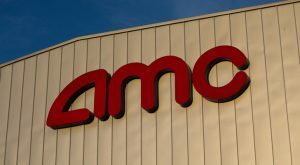 AMC stock is declining more than 5.6% after the bell on Thursday as the company posted its latest quarterly earnings results late in the day, unveiling a loss that was wider than projected. Shares had been dipping nearly 1.4% during regular trading hours in anticipation of the company’s results. Article printed from InvestorPlace Media, https://investorplace.com/2018/11/amc-stock/.